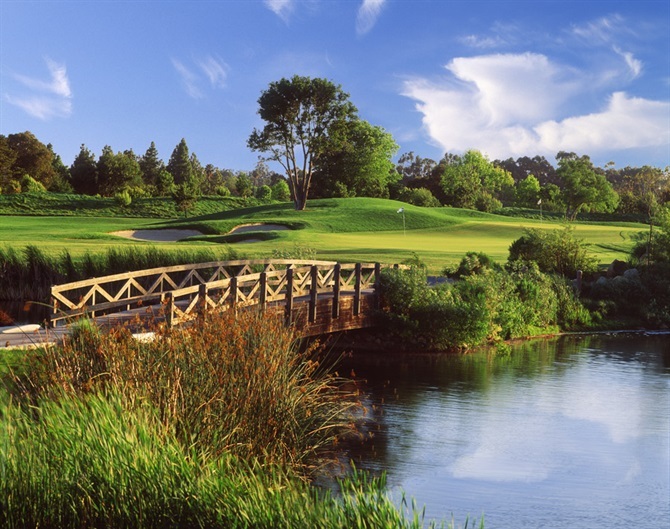 Glen Annie Golf Club is one of the most scenic golf courses in the greater Santa Barbara region. Situated in the foothills of Goleta, the golf course, practice facility and award-winning clubhouse enjoy beautiful views of the Pacific Ocean and Channel Islands. The par-71 course opened in 1997 and was designed by Robert Muir Graves and Damian Pascuzzo. The modern clubhouse measures approximately 10,000 square feet, offering an elegant dining room and tasteful outdoor patio with three fireplaces, plus a large event lawn and gazebo that it utilized for weddings and other special events. The Frog Bar & Grill offers lunch daily and an exceptional Sunday brunch. Glen Annie consistently generates strong annual revenue and net income.